This peony variety really lives up to its name. Paeonia Pink Giant has huge carmine pink flowers which makes it stand out. A real eye-catcher of a peony! Pink Giant is a full-petalled peony with a big bud. The flowers are pink in colour and can grow to have a diameter of about 20 cm in full bloom. This peony variety blooms very late in peony season and is only grown in the Netherlands. Believe it or not but this peony variety is a Dutch discovery. This probably explains why it’s currently only being grown in the Netherlands. Although it was bred by Vuuren in 1966, Pink Giant as a cut flower is still relatively new on the market. 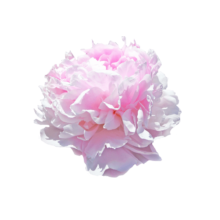 Because of her exclusivity we are very proud to have Paeonia Pink Giant in our assortment. Pink Giant is a big peony and therefore needs some time to open up. That’s why we prefer to sell them when they’re starting to show some colour. You can determine the stage of its maturity by gently squeezing the flower. Does the flower feel soft and do the upper petals open up slightly? Then it’s ready to be cut! Finally, iff you still find yourself with peonies that have difficulty opening, add a little sugar or 7Up to the water.